↑ Chan, Wing-tsit. Sourcebook in Chinese Philosophy. Greenwood Publishing Group, March 1, 2002. xii. Retrieved on April 1, 2012. ISBN 1400809649, 9781400809646. ↑ D.C. Lau, Mencius: (Penguin Books 1970, 2003) p.38. ↑ Xingzhong Yao, An Introduction to Confucianism: (Cambridge University Press 2000) p.110. 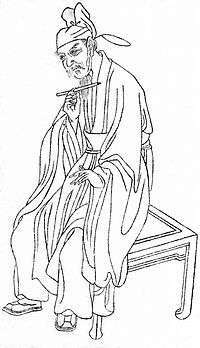 ↑ Chang, Carsun, The development of Neo-Confucian Thought, (Westport: Greenwood Press 1957) p292.